I have always been fascinated by fiber, fabrics and color. I started sewing as a young child and spent a lot of time sewing clothing for myself and family members. As a descendent of quilters and tailors I have always been surrounded by this artistry. I later studied Fashion Design at FIT, then moved into the fashion industry working closely with designers and traveling to develop product for many years. In 2004, yearning for more creativity I started quilting. My natural ability for needlework led to a new pastime and an increased love for experimenting with a mixture of color and pattern. 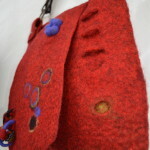 A few years back I took a felting class and fell in love with the idea of creating art from the fiber up. Naturally, this led to more curiosity so when the opportunity for me to work on my art full-time came up 2-1/2 years ago I decided to focus on fiber art with my focus mainly in the felting area. 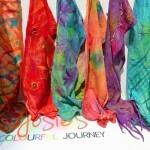 I have enjoyed making wearable art scarves, and accessories. More recently I took a workshop in hat felt making with plans to develop this skill. 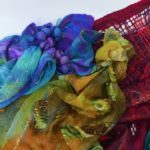 I have taken workshops with Linda Brooks Hirschman, Nancy Dorian, Andrea Graham and Dawn Edwards learning different skills from each, and interesting ways of turning fiber into art. Felting has opened up new opportunities for me in the last year, and hopefully a lot more going forward. 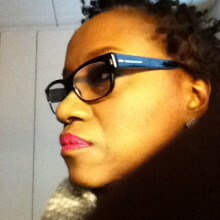 I enjoy the art form, and the interesting people I have met along this journey. I look forward to expanding this art form and continuously developing new skills as I move forward.